We don’t much like FAQ’s but it seems a web site this complex needs one. Every one of the questions listed has been asked in the past – it might save you some time. Dart Music Festival is operated as a “not for profit” limited company incorporated in the United Kingdom. Its board is made up of volunteers who receive no remuneration. 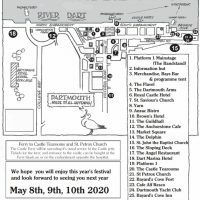 Its aims are to promote the annual Dart Music Festival for communities in and around Dartmouth and Kingswear.